Dull Lives Won’t Cut It. Do you ever wonder why the mundane has to feel so... mundane? Are you starting to despise anything ordinary? Does your heart feel listless and despondent? Bored and uninspired; we often find ourselves drifting, aimless, or stuck somewhere. Unable to shake it. This, my friend, is what we call the doldrums. Stale, looming seasons of stagnation and inactivity. Places we all arrive at in various points in life, but certainly wouldn’t want to stay. Over time, dashed dreams or feelings of lost purpose can result in us getting stuck in the doldrums. Here, the absence of wind stalls the direction and motion of your life; here, you desperately need the wind to pick back up again. Enter inspiration. Or re-enter inspiration. 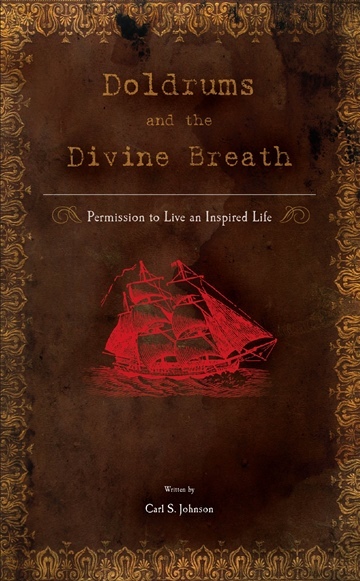 This is a book about the Divine Breath–the original source of creativity and the birthplace of inspiration. The moment you became a living soul, this very breath sparked your life into being, and continually sparks it today. It’s inside of you still, waiting to be uncovered and unleashed. You can be inspired again. Carl S. Johnson is an artist, amateur poet, music lover and vintage enthusiast.